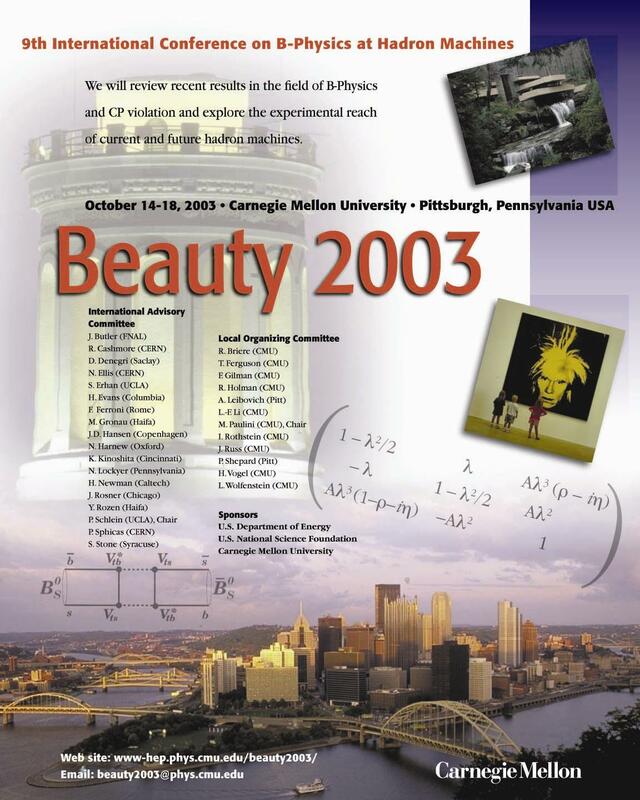 The 9th International Conference on B-Physics at Hadron Machines - BEAUTY 2003 will be held from October 14 - 18, 2003 at Carnegie Mellon University in Pittsburgh, Pennsylvania, USA. The purpose of this conference is to review results in the field of B-physics, CP violation and to explore the physics potential and experimental reach of current and future generations of B-physics experiments at hadron machines. Talks in electronic form added to final version of Scientific Program.